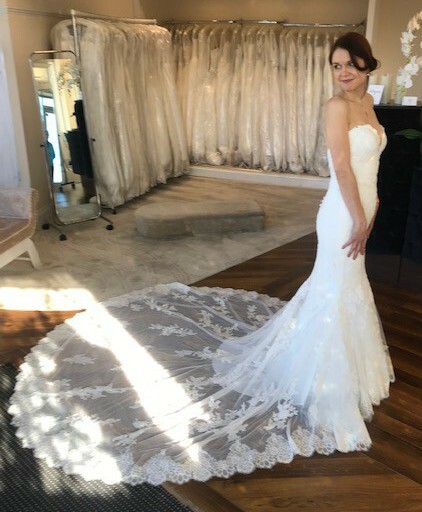 The latest design from Pronovias, the Ermin is a jaw-dropping mermaid dress in soft tulle and lace, with thread-embroidered appliqués and sparkling beading all over the body. The gorgeous train is in embroidered tulle and sets this dress apart from the rest. I wore it with a petticoat and hoop with gave it the perfect shape - you can have these free. RRP £2000 and I'm open to offers as long as you love it as much as I do.